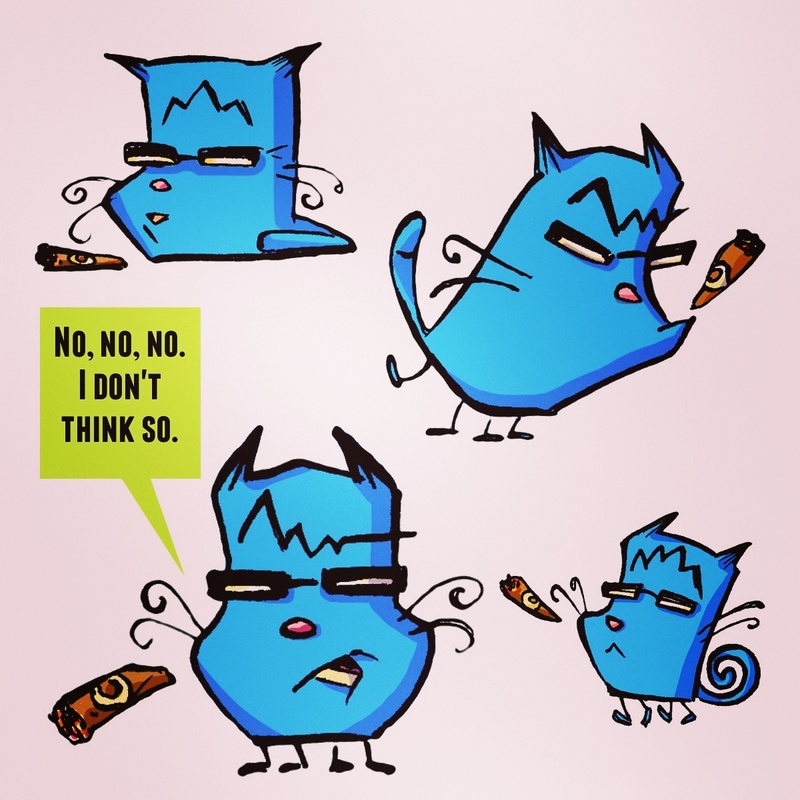 René did a bunch of drawings of a deliberately not-what-I-was-expecting ant-legged cigar-smoking blue cat for the first placeholder tests we did while working (in 2017) on the Beholder “cat” project. He liked them far too much because he knew it wasn’t what I wanted. Obviously we used them in the backstage testing anyway because they were funny. This is the problem working with cartoonists. Well, one of the problems.